is there any problem to update my phone software using my phone..? ?plz reply..thanx..
can i update my phone software using my phone...?? ?which one is better..?? ?phone or pc..??? NOKIA X6 is really good smart phone. I like it's attractive design. Symbian OS is better than windows OS. Who said touch screen is bad? I find it gud rather other phones of nokia variant. Working on internet is faster but not faster than iphone. It has all the advantages. The main disadvantage is the processor,RAM speed,Storage space. But has all the good things. My advice to all is close the major applications before opening another one which helps to avoid hanging. I'm using for a year. I Think NOKIA X6 is very good smart phone. So many features here. 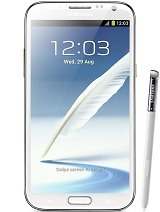 It is very user friendly phone. I like it. wat r the drawbacks other than speed?